The iconic Aishwarya Rai Bachchan’s post-maternity stint onscreen has been far from encouraging. All the four films she has done since the birth of her daughter Aaradhya six years ago have received a lukewarm response. Immediately after she returned from motherhood, Aishwarya did an author-backed part as a single mother trying to retrieve her kidnapped daughter in Sanjay Gupta’s Jazbaa. Unfortunately, she looked ill at ease in the tailor-made role of the traumatised mother while her chemistry with her onscreen daughter was also woefully lacking. Next came director Omung Kumar’s Sarbjit, where she played a real-life character for the first time in her career, that of Dalbir Kaur, the sister of Indian soldier Sarabjit Singh, who was held prisoner in Pakistan. However, the film bombed in spite of every effort to build her up as the prospective recipient of a National award. 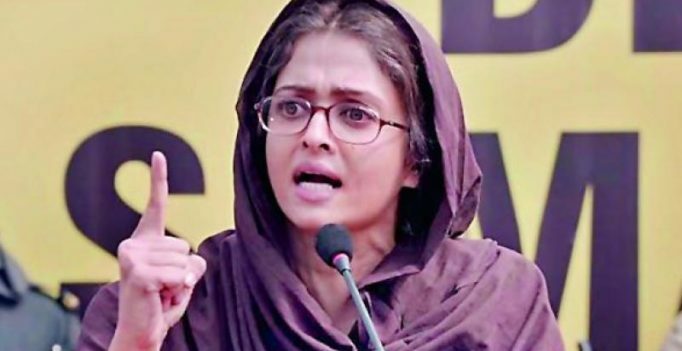 Once again, Aishwarya failed to do justice to her role, not to forget the ugly rumours about how Richa Chadha’s role as Sarabjit’s wife was cut. A still from the movie Ae Dil Hai Mushkil. After this, Aishwarya crossed the firing line to play a Pakistani poetess who has a fling with a younger man in Karan Johar’s Ae Dil Hai Mushkil. Though the film did moderately well, it cannot be called a success. And certainly not to the actress’ credit. Interestingly, in a bid to perhaps maintain a youthful image, both Aishwarya and Kareena Kapoor Khan are being seen with younger co-stars. While Kareena was paired with 35-year-old Sumeet Vyas in her post-motherhood comeback film Veere Di Wedding, Aishwarya was paired with Ankur Bhatia, Ranbir Kapoor and now Rajkummar Rao (in Fanney Khan) in her three post-maternity films, all of them are her juniors. Apparently, Aishwarya contributed a whole lot of inputs to her character as the kidnapped singing diva in Fanney Khan. “Even the idea of the tattoo on her wrist was Aishwarya’s. She hand-held debutant director Atul Manjrekar because she knew they were treading on wobbly ground. But the final outcome was far from appealing,” says a source close to the Fanney Khan team. A prominent filmmaker who has worked with Aishwarya feels that she lacks the emotional depth to make the transition from glam diva to a woman of substance. “She wants to go from Jennifer Lopez to Meryl Streep, but she doesn’t have the range. In Jazbaa, she played a traumatised mother but looked shallow and too taken up with looking glamorous. In Fanney Khan, she is fine singing, dancing and playing the pop diva. But when she has to communicate her character’s loneliness, she is at a loss. Aishwarya lacks the emotional depth to pull off 40-plus characters,” says the filmmaker. Seems like she needs a Sanjay Leela Bhansali to harness her illimitable beauty into something far more substantial than the eye candy she ends up portraying these days. Ranbir, Ranveer in Karan Johar’s Sangam remake?